Have you fallen behind on your mortgage payments and you aren’t sure what to do next? If so, you’re not alone. In today’s uncertain economy, more and more homeowners are falling on hard times. In fact, every three months, 250,000 American families face the prospect of losing their home. As scary as that sounds, there is good news. Of the more than 950,000 foreclosures filed in 2016, only 427,000 went through. This means that many homeowners were able to avoid foreclosure. You can, too. One of the most common ways to avoid foreclosure is to sell the house before it happens. But you may wonder: Is it really possible to sell my house fast? Read on for our expert advice on how to avoid foreclosure. There are theoretically many ways to avoid foreclosure. These include adjusting your budget, restructuring your mortgage payments, or refinancing the property. But what if unemployment, illness, or other factors make these options impossible? The biggest mistake you can make is to do nothing. Fear of losing your home or denying reality won’t change the situation. The time to act is now – before it’s too late. Many in your situation have had success using a real estate investment company. These companies are able to buy houses in any condition, usually in a short amount of time. This saves you, the homeowner, from foreclosure and an ugly mark on your credit report. Florida currently has the seventh highest foreclosure rate in the country. To avoid adding your home to the list, you need to take control and get your house ready to sell – fast! There’s nothing you can do about the current real estate market or the neighborhood you live in. However, there are many factors you can control to ensure your house sells quickly. Here’s our list of do’s and don’ts to get your house ready to sell. Our answer is to make sure you have realistic expectations. Contact your real estate agent and ask her to prepare a Competitive Market Analysis (CMA). This will show recently sold nearby homes that are similar to yours. To get your house sold fast, average the sales prices (not the list prices) and go down about 10%. This will make your home seem like a bargain. This will result in a lot more interest in your property. You may find yourself in a situation where you owe more on your house than it’s currently worth. While this is unfortunate, it’s also irrelevant to the fair market value of your home. If you owe $200,000 on your mortgage, but your home is only worth $150,000, you can’t expect to sell it for what you owe. Selling your house for less than what you owe isn’t a pleasant thought. However, it’s a much better option than foreclosure and an ugly seven-year blemish on your credit report. We’ve already established that a buyer isn’t going to pay a premium for your house just because of what you owe. Conversely, you also don’t want to list your home for too little. Contact your lender and ask for information about a Short Sale. They can give you an estimate of how low of a sale price they’re willing to accept. A short sale will negatively affect your credit rating, but not nearly as much as a foreclosure. If foreclosure is imminent, you don’t have any time to waste. You need to price your house aggressively – and that means you need to price it low. An overpriced home will attract less interest. After all, it’s out of the price range of many buyers. Chances are, you won’t even get many people coming to look at the place. Why would they waste time viewing an overpriced property when there are others in the neighborhood at a fairer price? This responsibility falls mainly on your real estate agent, but you can still help the process. Internet marketing is usually free (or inexpensive), so make sure you’re listed on every major real estate site. Yahoo, Craigslist, Realtor.com, and FrontDoor.com are good places to start. It costs you nothing but time to add your home to these sites. As a bonus, many real estate sites will also syndicate your listing to dozens of other sites. This means less work for you and more exposure for your home. “What else can I do to sell my house fast?” you may ask. Be sure your listing includes a lot of pictures. Real estate listings with few or no photos will get few or no offers. It’s as simple as that. The more photos you have of your property, the longer a potential buyer is going to linger. And the longer they look at your listing, the more likely they are to come out and view it in person. Since you’re facing foreclosure, your probably don’t have cash on hand for major repairs or renovations. That’s okay. You don’t need to remodel your entire house to make it presentable. But you should be sure it’s clean, tidy, and free of any clutter or odors. Focus on cosmetic upgrades, such as new shutters or a fresh coat of paint. Hire a handyman to fix leaks, caulk cracked tiles, and patch the walls. These are inexpensive repairs. However, they can make a world of difference in your home’s appearance. 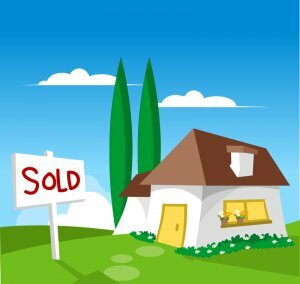 I’m Ready to Sell My House Fast…What’s Next? If you’re facing foreclosure, don’t despair. You still have options. And one of your best ones is to sell your house before the foreclosure goes through. At Global Citizens, we guarantee fair, all-cash offers on homes in the Jacksonville area. We invite you to learn more about our acquisition criteria and how we can help you to avoid foreclosure.